Cup Washer - Nickle Plated also called a trim or finishing washer, has an increased bearing surface and the cupped design gives a clean finished appearance. It is round with a hole in the middle and can dress up a project while mostly hiding the appearance of the screw. 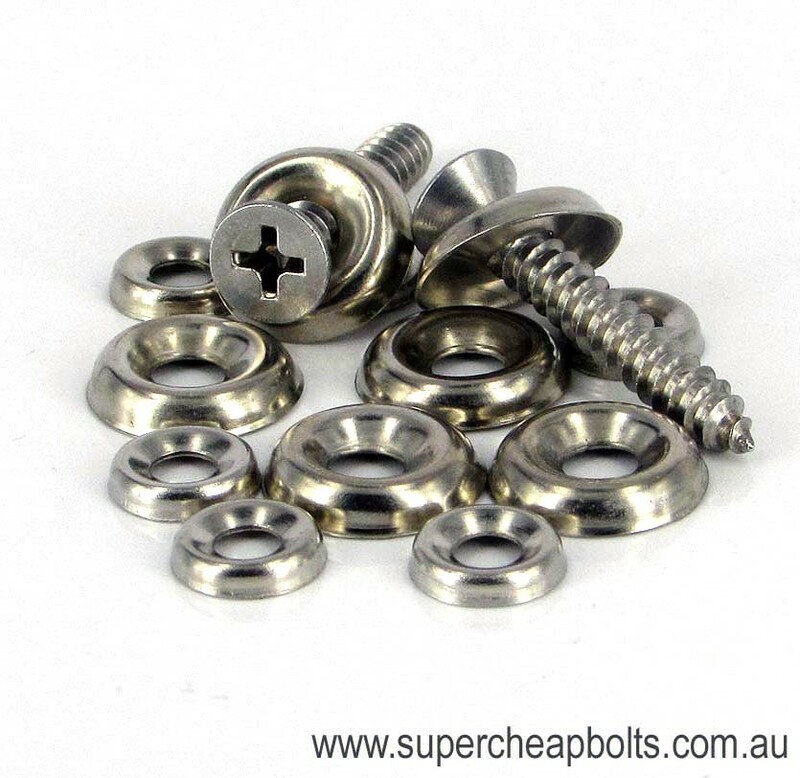 The washer is designed for use with flat or oval head screws. 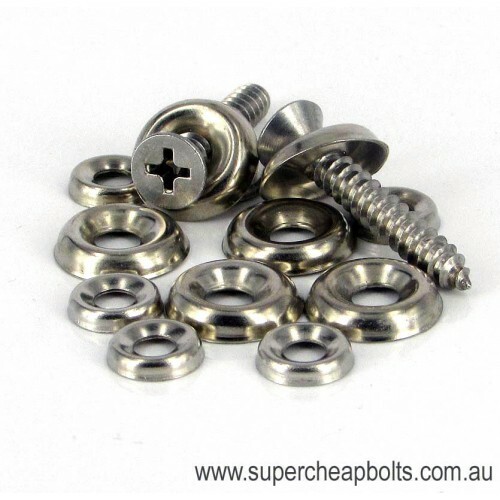 The size designates the inner diameter of the washer and should match the screw diameter being used.